Taiji Push-Hand is a kind of sparring event by two persons. It is practical in combat and good for health. 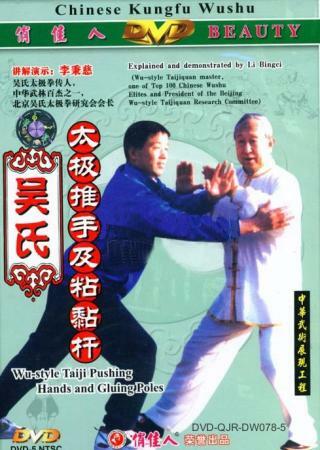 It is also a training approach for Taiji Quan exercises to improve skills. This technique is developed, according to kinetic principles, to lure the opponent to lose balance and fall down by sticking to the opponent's hands, following his move upper and down during which it is the skill, not the force that is mainly relied on. The Taiji Gluing Poles is the extended from the Taiji Quan, and it is one kind of method to improve Taiji kung fu with the degree of difficulty. body and mind are trained together.